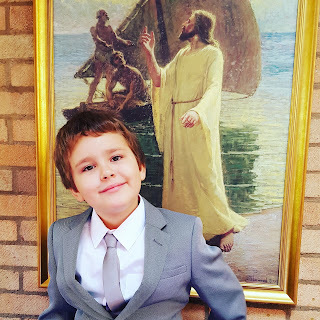 A Mothers Ramblings: Dan Jon Jr Got Baptised! Then Dan Jon Jr decided that he would like to be baptised too. 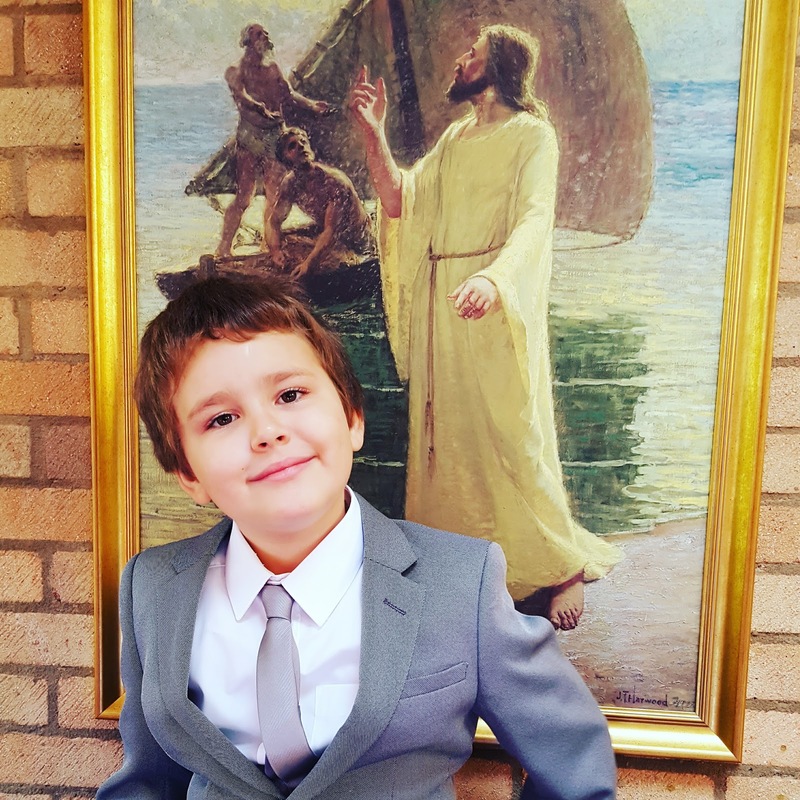 The way it works in The Church of Jesus Christ of Latter Day Saints is that you don't get baptised until you are eight years old, because we believe that is the age of accountability. We also believe that Baptism has to be full immersion, which we do in all white. Which is why Dan Jon changed out of his brand new suit (and he kept telling everyone that he got new pants, socks, shirts and vests too!) and into an all white outfit. Dan Jon was baptised and confirmed by a friend of our family, who also happens to be the First Counsellor in our Bishopric, but more importantly for Dan Jon Jr he is also the Daddy to someone Dan Jon considers to be one of his best friends and not just because they have almost identical names! Dan Jon Jr asked for Top Ender and I to give talks at his Baptism. Top Ender talked about the Holy Ghost and I spoke about Baptism, but I'll write a post about the talks later this week. I was so impressed with Dan Jon Jr, he listened to our talks and to the thoughts that Bishop gave too. 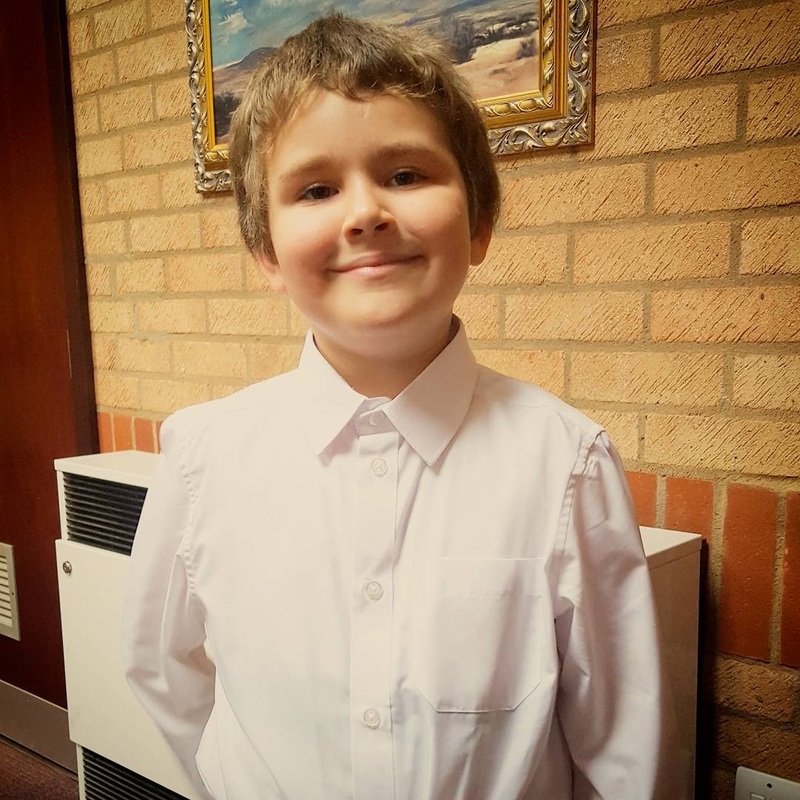 His special day was brilliant, shared with family and friends and rounded off with cake.